Windows 8/8.1 was not the success Microsoft had hoped for – especially in the German market. In this context, it’s hardly surprising that many professional users never migrated to Windows 8/8.1 and continued to run proven Windows 7 on their systems. Even Windows XP is still running in some companies, although using this outdated system in the enterprise carries significant risks. That’s why the company is putting even more faith in the new Windows 10 desktop operating system. 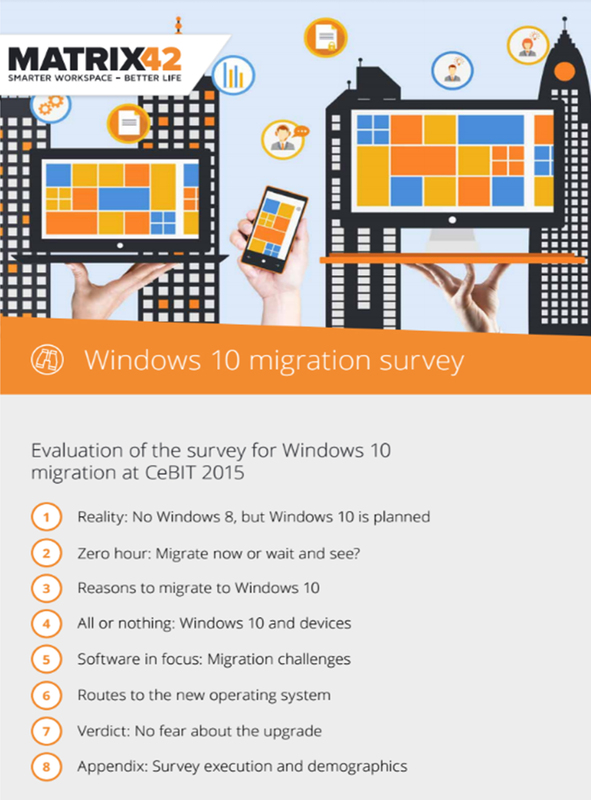 So, what is the situation within German companies now – are they planning to migrate to Windows 10 immediately, or will they wait and see? These and other question are answered in this white paper.